Study the baptism of Jesus Christ this week as you dive into “Prepare Ye the Way of the Lord” January 28 to February 3. Discover study resources, teaching ideas, and free handouts below. Please remember when sharing, you can share this blog post but you may NOT link directly to the printable itself. Thank you for your support! Encourage daily scripture study with my February’s reading tracking chart. Color in one thing a day! Remember, you can get the weekly tracking chart instead in my General New Testament helps. Watch a video and discuss it after dinner, print out images for your bulletin board, make a playlist to encourage personal study time or learn a new song! Repentance (about 2 minutes)- Doug discovers there is more to life and talks about repentance. The Sting of the Scorpion (about 3 minutes) A young boy’s encounter with a scorpion in the Arabian desert can teach us a lot about what we must do to avoid and overcome the venomous sting of sin. Repentance Is a Blessing to All of Us (about 1 1/2 minutes)- Elder Andersen speaks of the need to humbly and sincerely follow the promptings to repent. A Mighty Change: Conversion (about 3 minutes)- Alejandra expresses gratitude for the changes in her life that resulted from her baptism and the joy she feels when serving others. Baptism of the Holy Ghost (about 1 1/2 minutes)- Elder Bednar teaches about the baptism of the Holy Ghost. Use your LDS Media App to quickly put together a playlist to listen to as you ponder, get ready for the day, or drive in the car. Use the Hymns under the topics of Repentance and Baptism. Use the songs in the Children’s Songbook under the topics of Repentance and Baptism. Add some Swedish Fish or Dove chocolate to your routine. Print out these free New Testament Candy Grams. Then as you read these scriptures or answer so many questions, pass out a sweet treat! What are some memories you have of your own baptism? 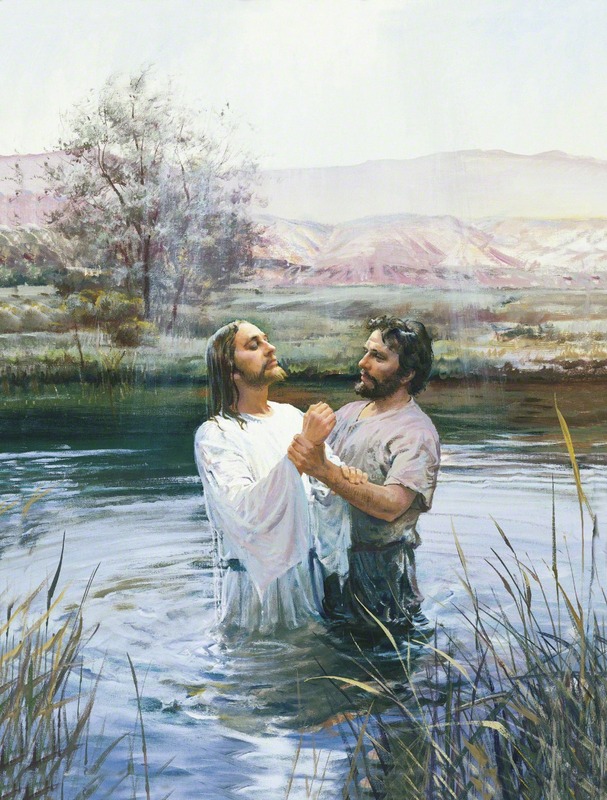 How was your baptism similar to Christ’s baptism? How did it differ? If you were to meet John the Baptist, what would you ask him? What do you learn about John the Baptist in these chapters? How can we prepare the way for the Lord’s second coming? How do you think John the Baptist felt about baptizing Jesus? How do you think those who witnessed Christ’s baptism felt after they heard the voice and saw the sign of the dove? How would you feel? In what ways do you please God? What else can you do? Think back to the last baptism you attended. What do you remember most? How does studying the accounts of Christ’s baptism increase your testimony? How can we show Christ that we have truly repented? What have you learned about yourself through the process of repenting? What other examples are found in the scriptures of people repenting? What can we learn about repentance from them? What spiritual experiences have you had while partaking of the sacrament and renewing your baptismal covenants? How is your understanding of the Godhead strengthened by reading these chapters? Ponder and write down the Fourth Article of Faith. What impressions come to mind? Why do you think that faith and repentance are required before baptism? How has your faith grown in the last month? If it hasn’t, what can you do to increase your faith? How has faith helped you along the path of repentance? What verse stood out the most to you when reading Luke 3:7-14? Write down your thoughts. How has the gift of repentance blessed your life? Like the Pharisees and Sadducees, have you ever “strayed from the original intent of God’s Laws”? What have you done to get back on the right track? What causes us to stray? What can we do to stay on the path better? 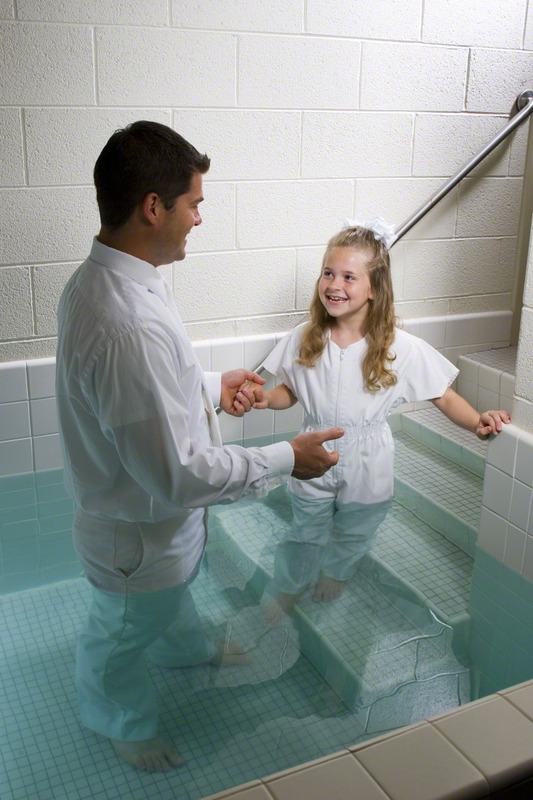 After reading D&C 20:37, what requirements are needed to be baptized? Why do you think so much is required from us before we are baptized? Have you been able to keep the baptismal feeling in your life? Contemplate the sacrament prayers in D&C 20:75-79. What feelings do you have? How do you keep those covenants every week? When have you had the experience of having “his Spirit be with you”? Have you ever shared your testimony with someone who does not know that God, Jesus and the Holy Ghost are not one? How was that experience? If not, how would you explain your beliefs about the Godhead to someone? These are my ideas. My hope is that my thoughts may be a springboard to your own great ideas that are right for you and your family. Some ideas are for families with young children while others might be for widows meeting together as a group. Read through and find what’s right for your situation. Note: Preparing for baptism and baptismal covenants are focused on more in the Primary manual so those additional helps can be found there. Discuss who Mark is and why he wrote his testimony to share with us. Print out my profile card and add it to your scripture info key ring. Use my poster print of Luke 3:5 to discuss how we can apply that scripture to our lives as well. Give everyone a strip of paper to write down something that is hard in their lives- something they are really struggling with. Then cover up some of the words on the poster with their words to show how we can directly apply this scripture. Meck Mom is always a great source for object lessons. Watch her great repentance object lesson to use with your family this week. 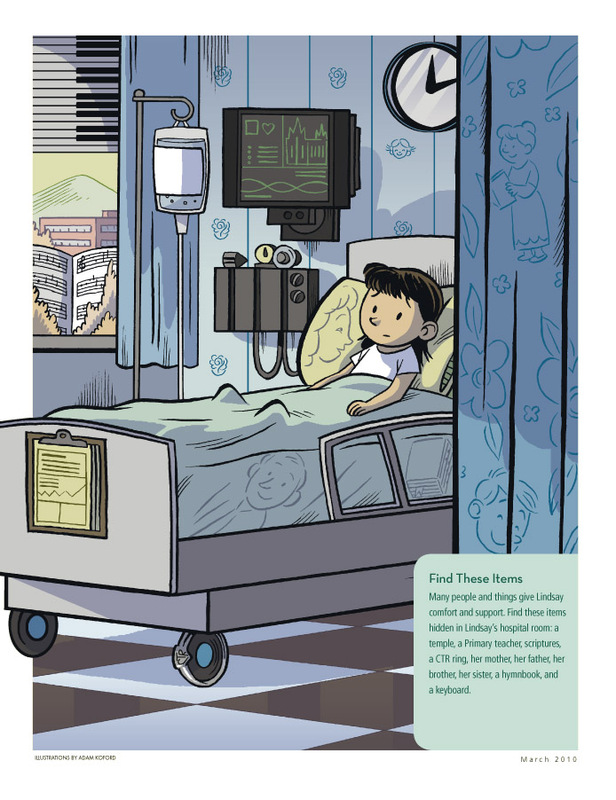 Use my free printables of the boy and girl with the bandaids to discuss repentance. Laminate the dolls (you can use clear packing tape if you don't have a laminator) then draw injuries on the doll with a dry erase marker to represent sins. Cover the injuries with the bandages as you go through the steps. After all the steps are done, remove the bandages while wiping off the marker to reveal the doll as good as new (You may want to put cotton swabs on the bandaids to easily erase the injury). Use the I’m Sorry circles to practice repentance with younger children. You can turn it into a necklace or use it as a lacing card too. Little LDS Ideas has another great way to teach about repentance plus a great poster about the steps of repentance. Discuss ways we can say sorry. Sometimes that’s the hardest part! Making Life Blissful has some ideas plus free printable cards to help! Discuss Jesus Christ’s baptism while remembering your own by using my printables to make a baptism flip book. Looking for something older? Use my Baptism Squares instead. Really get dirty with this baptism object lesson from Future Flying Saucers. Have young ones? Try this file folder activity from Green Jell-O with Carrot where they can dress up the dolls in baptismal clothes. Keep the conversation about baptism going with a board game from Latter-day Chatter. Learn more about the Holy Ghost with my simply flip book. You can glue in picture answers or draw/write your own. Work on memorizing the first Article of Faith using my free printable posters. Cover up words throughout the week, make it into a puzzle, or more! Review some duties of Aaronic priesthood holders using my free handouts in Primary 5 Lesson 8. For a younger crowd, try the priesthood ties including in my free handouts for Behold My Little Ones Lesson 28. There is also a great easy cheat sheet version of the duties of the Aaronic and Melchizedek Priesthood holders from Courtney Aitken. Get more great activities and scripture insights with a lesson packet from The Red Headed Hostess. Questions and Answers about Baptism-Good to read over before someone is baptized. Fraction Puzzle- Solve the bottom puzzles to revealed the word "baptism"
Learning about Baptism- Find all the things starting with "B"
Why Is It Important for Me to Be Baptized? First Article of Faith Coded Message- Decode it! Aaronic Priesthood Activity- Have the kids dress the boy up for Priesthood duties. The Priesthood Helps People- Draw yourself in these pictures where the Priesthood is being used. Inviting the Spirit- 4 ways to invite the Spirit to color...try cutting up the squares and punching holes on each side. Then string a ribbon through and make it into a sash to wear instead. Listen to the Still, Small Voice- Color a quilt and read some scriptures- probably better for the older classes. You could bring stickers to put into the squares instead. The Holy Ghost Can Help Me- Make this invitation to remember to invite the Holy Ghost in. The Holy Ghost Testifies of the Truth of All Things- Journal activity and make a Liahona. The Holy Ghost- Crossword or use this one.